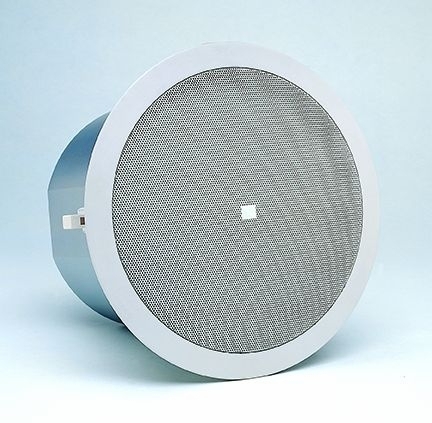 JBL Control 19CST Ceiling Speaker DJParts - All Variety of Parts that DJ Needs. Included Accessories: C-shaped support backing plate 2 tile support rails (fits both 2 x 4 ft or 600 x 1200 mm tiles) Cutout template Paint shield Removable locking wiring connector 1Mounted in ceiling near corner (/2 loading) 2Continuous Pink Noise rating is shaped pink noise, 40 Hz to 400 Hz, with a 6 dB crest factor for 100 hours continuously. Continuous Program power is a conservative expression of the system’s ability to handle normal speech and music program material and is defined as 3 dB above the Continuous Pink Noise Rating. 3Average 60 Hz to 100 Hz.